Overall the Ilfracombe House Hotel is an excellent hotel, clean & exactly as described on the website. Breakfast was excellent, you could help yourself to a cooked buffet breakfast & it was open for as long as you wanted basically, that did appeal to us. I would definately recommend this hotel to anyone it was excellent & indeed value for money. The manager was very friendly and helpful. 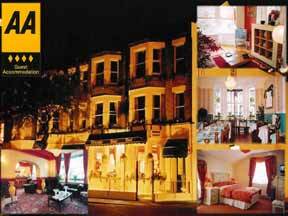 The hotel was near Southend seafront and within easy walking distance of the town centre. Room facilities were good. Nice comfortable bar area. For me this is the best hotel in Southend-on-Sea and I recommend it.